Established in 2003, the Company's predecessor is China Electric Power Technology Holdings Ltd. In 2012, the Company changed actual controllers and began to pursue to business extension and innovation gradually; in 2013, the Company developed its trade business of nonferrous metals, and then revoked original money-losing businesses such as school network integration service step by step to pay emphasis on the new businesses with core competitiveness; in July 2015, the Company received capital injection, the business scope changed into the civil explosive industry and the profit margin was expanded. The Company is mainly engaged in the production of civil explosives and the relevant businesses related to blasting operation. 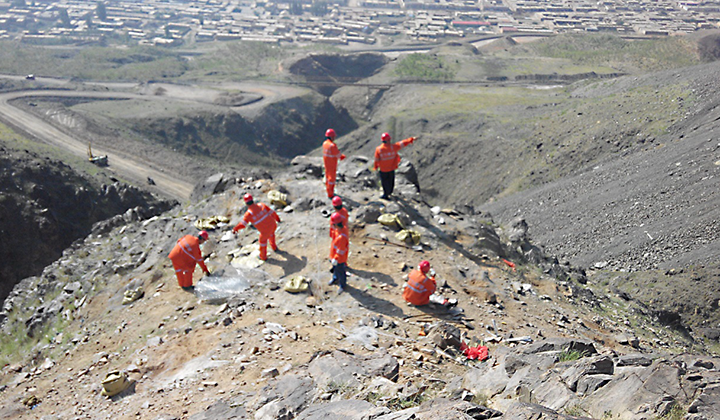 The Company has both explosive production qualification and blasting operation qualification. In current, the Company's main businesses include the research and development, production and sales of civil explosive equipment; engineering blasting design, operation and technical services.